On Oct. 14, 2012, God gave me four simple words – “I am with you” – that changed the trajectory of my life. With that whisper of assurance, I knew that He was undoubtedly calling me away from being a professional a cappella singer (yes, that’s actually a thing) to return home to Fishers and lead Young Life at my alma mater. Since then, God has proven Himself faithful in innumerable “I am with you” moments in ministry. 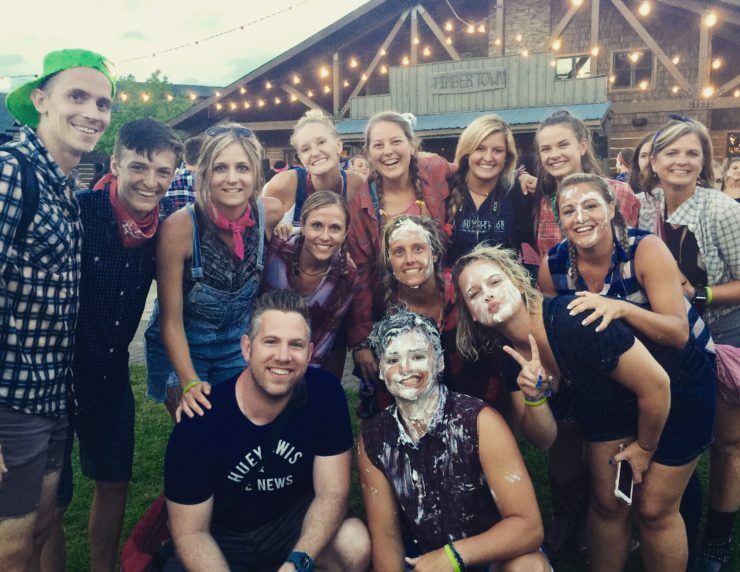 I’ve seen teenagers’ lives turn completely around by an encounter with Jesus at camp during the summer, the barn where we meet on a Monday night, or a Bible study over coffee with their volunteer leader. I’ve seen parents’ lives transformed by the faithful witness of their teenage son or daughter. I’ve had families tell me that the tipping point in them moving to Fishers was because Young Life is a vibrant and indelible part of the fabric of our city. I’ve seen young people who were once depressed and suicidal become full of joy and hope because of what God has done for them. I’ve seen teens who were skeptics or atheists when I met them return to Fishers from proclaiming the Good News around the world. I’ve seen families restored, outcasts befriended, and love spread across our community. And now, our family must follow again where God is leading us. We will be staying in Fishers and focusing our efforts on serving adults in our community with our friend Pastor Daron Earlewine and his growing ministry Blackbird Mission. Lauren and I are excited to help to expand the borders of God’s Kingdom in Fishers and will always be grateful for the impact the Young Life family has had upon our hearts and lives. You were simply amazing tonight in Fort Wayne! Your closer was absolutely beautiful. Looking forward to listening to your cd’s and can’t wait for your Christmas album next year! God bless you! Thank you so much, Sheri! I’m glad you enjoyed my recent performance in Fort Wayne. Be sure you stay updated through my mailing list about all sorts of music-related news! I can’t wait to record my Christmas album in 2019 for you!